John Howard, Australia’s three-term prime minister, tomorrow faces what promises to be one of the closest elections in his nation’s history. The polls of the past few weeks have shown Howard taking a slight lead for the first time since his opponent, Mark Latham, claimed leadership of the opposition Labor Party in December. In those ten months, Howard has tried steering the discussion toward the robust economy he’s overseen, while Latham campaigns on social programs like health care and education. But the war in Iraq could prove the pivotal issue, with Howard the first of the Big-Three coalition leaders (the others being Bush and Blair) to face the electorate since combat began. The war was, of course, unpopular worldwide, and Australia was no exception. Polls showed anywhere from two-thirds to three-quarters of the population opposed the decision to send troops. When Bush traveled to Canberra last October to address Parliament, he drew — depending on the estimate — the largest protests in Australia’s history, or merely the largest since Australian troops were dying in Vietnam. “On the front of honesty and integrity in government he should today, at long last, ‘fess up to the fact, the fundamental truth, that there were no WMD in Iraq. Iraq aside, the alliance with the U.S. remains popular in Australia, and Howard has tried to paint Latham as hostile toward that alliance. The prime minister has played up Latham’s now-famous comment that Bush is “the most incompetent and dangerous president in living memory,” and made hay of any Labor stance that can be spun as anti-U.S. (such as when Latham objected to certain farm subsidies in the free-trade agreement). The government has also made campaign issues of Latham’s admittedly hot-tempered past (he once broke a cabdriver’s arm in a fight over a fare) and Latham’s status as a relatively unknown commodity to many voters. Howard obviously hopes voters are more concerned with the economy, where he has a strong track record. Job numbers released this week showed a drop in unemployment, the Australian dollar has gained significant strength in the past year, and Howard successfully steered his country through the 1990s Asian financial crisis. 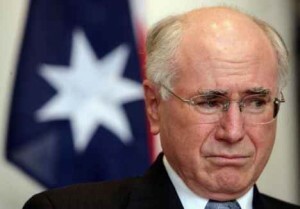 “Even if Iraq is not the deciding issue in the Australian elections, it could be perceived as such, and there could be tremors (if Howard loses). Australian voters make their choice Saturday, while Howard hopes his relationship with George Bush doesn’t prove his political undoing.